1. Select an experience and either buy online or phone us on 01874 749092 to buy. 2. Select your delivery option for the voucher which is either an eVoucher free of charge or alternatively we can post the voucher to you 1st class or direct to another recipient for £2.99. We aim to email vouchers the same working day as purchase where possible and to post vouchers within 2 days of purchase. 3. Full instructions are on the voucher – phone or email us to book which date you would like to attend from those offered, quoting the unique reference. We would be happy to advise on accommodation and transport options for the selected experience. 4. Turn up and enjoy. 5. The experience provider then receives their funds from the booking and the good cause (if different) then receives their donation. All funds for Experience Days are held separately until the either the experience day has been held, or the voucher expires, at which point the good cause will still receive their donation. General vouchers can be purchased to redeem against any items on the site, including both experiences and products. Good Day Out will take no responsibility for any loss you may incur as a result of voucher, receipt or theft and impersonation or identity fraud. Making a purchase could not be easier. Just browse our site, and add any items that you wish to buy into the shopping cart. Once you have finished your selection, click on ‘Checkout’ and you will be asked for a few details that we need to be able to complete the order. We only accept payment with debit & credit cards through the site. If you are shopping from outside the UK, place your order and your card company will convert the transaction to your own currency. You can also phone us and order over the phone with card details or make an arrangement to pay by cheque or direct bank transfer. We can also email over a payment request with a link to pay online. Experience vouchers are valid for at least 12 months from date of purchase, unless otherwise stated in the terms of a particular offer. The exact expiry date will be printed on the voucher. You must redeem the voucher before this date or the voucher will cease to be valid. The only exception is whereby an experience booked has been cancelled or delayed through circumstances beyond our control such as extreme weather or illness, in which instance please contact us. Credit is valid until the expiry date of the original voucher. You have the right to cancel the purchase of a voucher within fourteen days of purchase if it has not been redeemed, and during these fourteen days, a refund will only be given in full to the same credit or debit card used for the purchase, and to the same person. After the initial fourteen days after purchase, the voucher is non-refundable (please see below for further details). – UK mainland delivery is charged at £2.99 per order if any products are selected, regardless of how many items are ordered. For urgent or Saturday deliveries please contact us. Most deliveries are by courier using Interparcel, or by 1st class post if more appropriate, and arrive within 3-5 working days. – All experience vouchers and products can be sent to you, directly to the recipient, or to another address at your request. If you haven’t received the package within a reasonable timeframe and you believe your pack has gone astray in the post, contact us and we can provide a duplicate, or eVoucher, free of charge. Whilst we will do our utmost to ensure that your gift is received on time. In circumstances beyond our control such as postal strikes, extreme weather conditions or other force majeure we are unable to be held liable for the delay. – If courier delivery is required for anywhere outside UK mainland, please contact our office on 01874 749092 or through the email contact form as pricing and delivery times will vary. – Christmas – Last order dates, delivery times, opening hours and courier charges may change over the Christmas and New Year period. Experience vouchers are totally flexible and can be used to book any other experience available. There will be no charge for exchanging, however if your chosen experience or product is higher in price than the value of your original voucher, you will need to pay the price difference. When redeeming, if your chosen experience or product is lower in price, the difference will be held as credit to use against any future purchase. Credit can be used until the original expiry date of the voucher and is non-refundable. Refunds can be made on unused vouchers within 14 days of purchase. Where dates have already been booked with Good Day Out, refunds within 14 days of purchase are subject to our cancellation policy (see below). In certain circumstances we may require the original unused voucher to be returned to us before an exchange or refund can be processed. Refunds are always made to the person who purchased the voucher, and if originally purchased by credit or debit card, the refund will be credited to the same card or in some cases by cheque. If you have ordered products, you are entitled to cancel your order and return the goods within 7 working days for a full refund, including the cost of delivery. Do this by contacting us by email or telephone and quoting the order number supplied to you. Your refund will be paid within 30 days. You are responsible for the cost and risk of loss or damage when returning the goods, so you should take out enough postal insurance to cover their value. This cancellation policy does not affect your rights when we are at fault – for example, if goods are faulty or misdescribed. Any goods returned should be in saleable condition. In the event of despatch error, shortage or if damaged goods are received, please notify us within 48 hours of receipt and we will advise of replacement or refund as appropriate. In the hopefully unlikely event of non-delivery, please advise us as soon as possible so we can act accordingly. Should you need to re-schedule or cancel a dated booking you have already made with Good Day Out, this is usually possible provided you have given us at least 14 days’ notice. Should you need to cancel at short notice within this period, please just check with us about deferring your Experience Day. Sometimes we have to cancel an experience for reasons beyond our control, such as the weather or mechanical breakdown. In this unlikely event, we will do our best to notify you as soon as possible and do everything we can to offer an alternative date or time. We regret that, in these circumstances, Good Day Out is unable to reimburse travel, accommodation or any other expenses you may incur in relation to the cancelled experience. Certain experiences are subject to certain fitness recommendations and can be more or less hands on which is mentioned in the “need to know” section of each experience. The voucher will confirm these but it is recommended that the participant check that the day will be appropriate for their level of fitness. The information provided by Good Day Out about each experience and product is correct at the time of print. However, their content or format may change slightly during the year. Current details are available on our website or by calling us and are included as part of your booking confirmation. Your participation is conditional on your acceptance of the description detailed in your booking confirmation. Please check these details carefully upon receipt. Experiences are for one participant unless otherwise stated in the title or the experience details. The Good Day Out experience days are all planned around the activity in question, and some (particularly forestry related) are only able to be carried out in Autumn or so are dependent on the weather being not too adverse and we will advise you if you need to call to check the weather before setting out. If your experience is cancelled due to the weather you will be able to re-book, but your re-booked experience remains subject to weather conditions. All animals involved in Good Day Out experience days are kept with the highest possible welfare standards, and each activity is carefully managed with their wellbeing in mind. We hope it will be unlikely, but it is inevitable that occasionally an animal may have an off day, and we reserve the right to alter or cancel an experience should the experience possibly be detrimental to their health. If any issue is known in time, you will be contacted and alternative arrangements will be discussed. 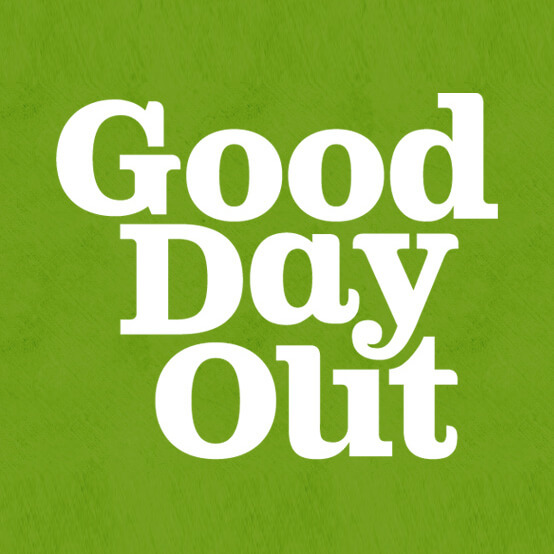 If Good Day Out needs to cancel an experience for this reason, an alternative date or activity will be offered or refund can be made. All our experiences are offered subject to availability per date. We usually aim for smaller groups so that everyone participating will have the best engagement with the day out and/or the good cause. Where days out are proving popular, we will take every step to create more availability. Bookings are not confirmed until you receive confirmation in writing from us. In some cases, we may ask you to return the original voucher to us before we can confirm your booking. You should not make any arrangements in connection with the booking until you have received your full booking confirmation. Where specific elements of the experience such as vehicles or specific guides or trainers are not available due to mechanical breakdown or illness, we reserve the right to make reasonable substitutions on the day. If this is not possible we reserve the right to cancel the experience at short notice. All our Experience Day providers hold Public Liability Insurance but we request that you hold your own personal accident and cancellation insurances. Where food is provided, it will have been prepared in accordance with local Environment Safety and Health & Safety requirements. We are happy to accommodate food intolerances and preferences where we have been given sufficient notice, ideally at least 7 days in advance. We welcome your feedback on all of our experiences and providers. If you have a problem or complaint on the day, please bring it to the attention of the host or experience manager at the venue as soon as possible, so that they have a chance to put matters right. If your problem is not resolved on the day, please contact us, including your voucher reference, participant and venue details, and we will be happy to take the matter up with the provider. In general, we consider it unreasonable if you take no action during an event, but then make a complaint at a later date. Good Day out General Vouchers are sold in denominations of £5 and can be used by the holder as part payment towards the purchase of Good Day Out experiences and products. General Vouchers are valid for one year after purchase. They can only be redeemed with Good Day Out prior to the expiry date printed on the voucher and cease to be valid for any purpose beyond this date. Defaced or damaged General Vouchers, or where the unique reference number has already been redeemed are invalid. The risk of theft or other loss of a Good Day Out voucher for any reason is borne by the voucher holder. Good Day Out experiences purchased with general vouchers are subject to our standard terms and conditions. All prices quoted in our promotional literature are correct at the time of publication. We reserve the right to increase the price of any product without notice. You will be notified of any price increase before you place your order.In order to maintain the highest standard of customer service and to help with the ongoing training of staff we listen to and occasionally record telephone calls. Whilst we take every care in choosing our experience day providers, inclusion in our range does not mean that we guarantee their safety standards or satisfactory performance of any of the experience suppliers. Good Day Out’s liability for any claim of breach of obligation regarding any single voucher or product shall not exceed the price of that voucher or product. The text, illustrations and images used in all Good Day Out promotional literature are protected by copyright and must not be copied in whole or in part without the express permission of Good Day Out.All the above terms and conditions apply as a condition of using any voucher, whether or not the voucher holder is the original purchaser. Good Day Out reserves the right to change these terms from time to time without reference to customers. In the rare event that there is an error on our site or in our catalogue, we reserve the right to cancel any order placed for the affected items. All credit/debit card transactions are handled by a secure payment service (through PayPal web solutions). They are not held in clear text on any web site. Please note that this address is not open for face to face meetings, so please call 01874 749092 or email us through our contact page. This is NOT the address for any of our experiences which are conducted at different locations. If you have booked an experience, you will be sent directions for your particular activity – if you have not received these, please call us on 01874 749092.